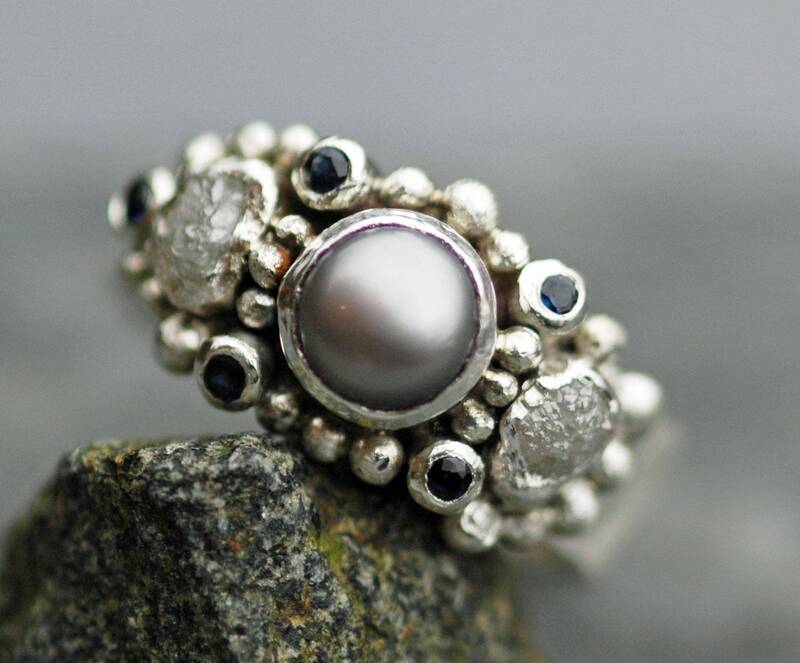 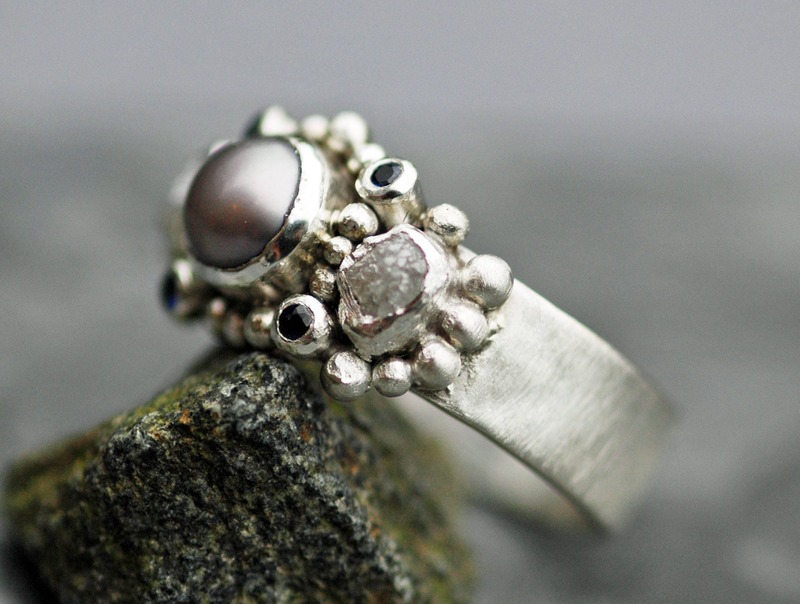 The ring you see in photos 1 and 2 has a grey freshwater pearl, blue sapphires, and a matte/brushed texture. 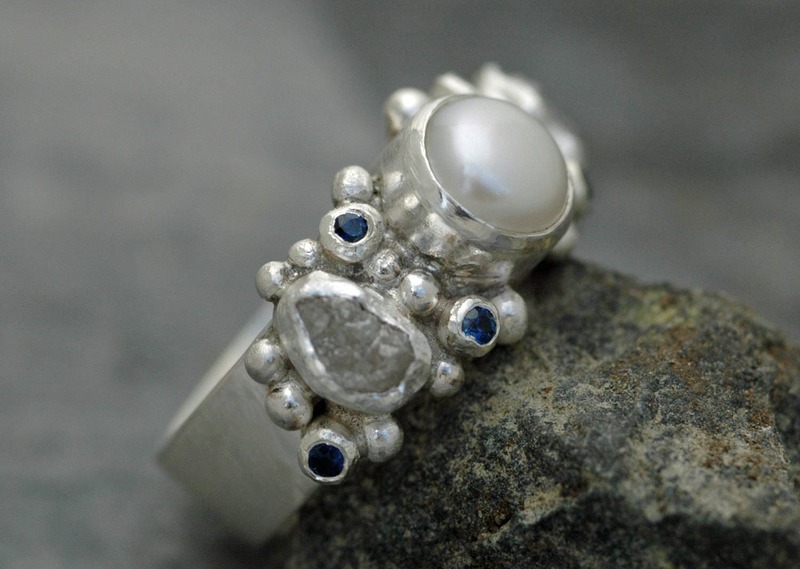 The ring in photos 3 and 4 has a white pearl and blue sapphires. 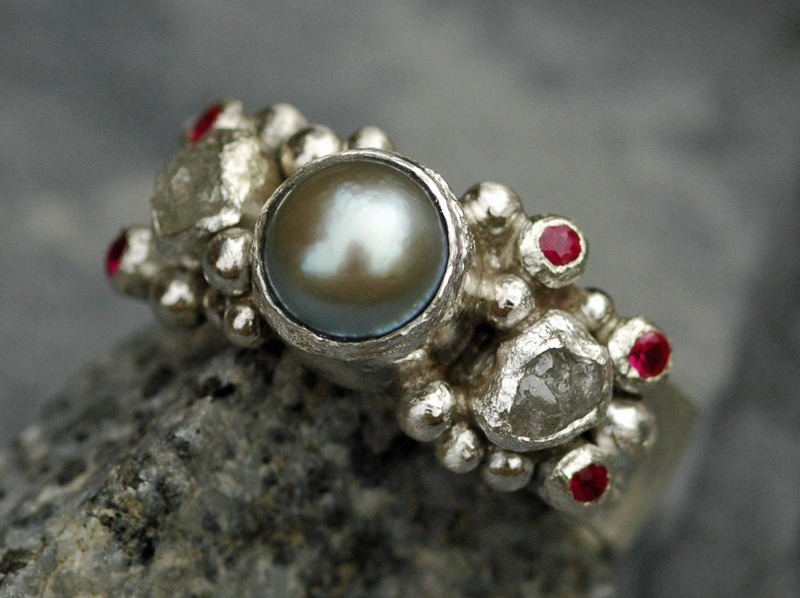 The final photo shows a silver saltwater pearl, with rubies. 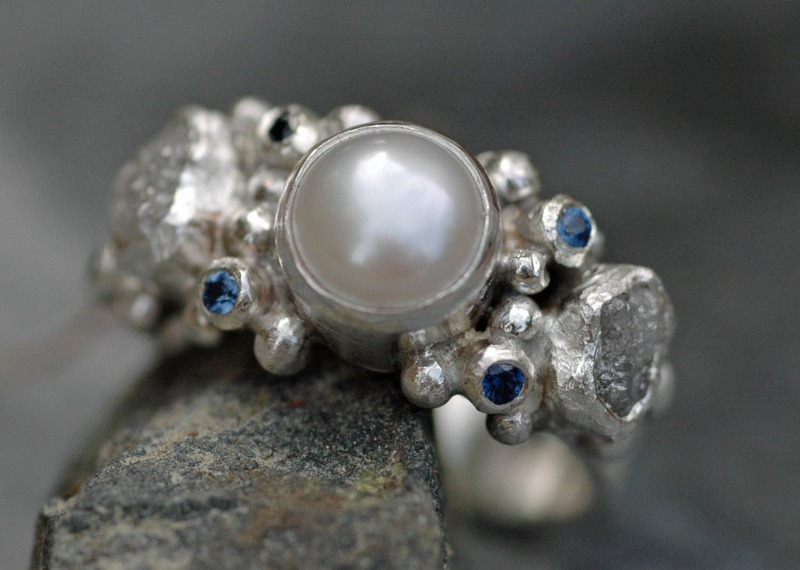 All of my metals are recycled, and are smelted in the USA.